Now that summer is finally here, you and your pet can spend more time outdoors enjoying all that the season has to offer. Like the other three seasons, summer presents unique safety challenges for our companion animals. 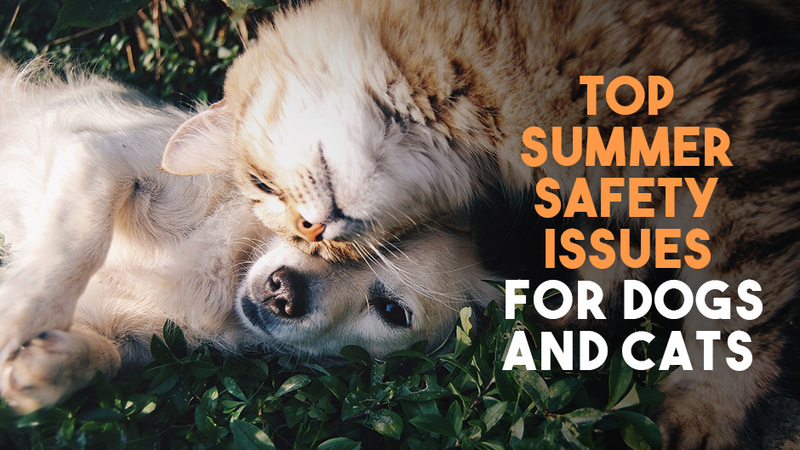 The good news is that you can enjoy a wonderful summer with your pet by taking a few simple precautions recommended by our Metcalf 107 Animal Clinic veterinarians. Fireworks season: Independence Day may be only one day, but the fireworks used to help celebrate it can last for weeks before and after the actual 4th of July. Many communities have other festivals that include fireworks throughout the summer. Unfortunately, the constant loud booms can terrify some dogs and cats. We encourage you to ask us about medication options if your pet is especially fearful and anxious of loud noises. Increased Risk of Tick-Borne Diseases: According to the website Pets and Parasites, the population of ticks is especially high this year and it increases the risk of companion animals contracting a serious disease. This includes Lyme disease, Ehrlichiosis, and Anaplasmosis. Prevention just makes sense. We carry several tick prevention products in our clinic. Our veterinarians are happy to help you choose the most appropriate one for your dog or cat. These are just four potential summer hazards that your pet faces this summer. Please let us know if you have additional questions or schedule an appointment today by calling (913) 642-1077. We wish you a fun, happy and safe summer!